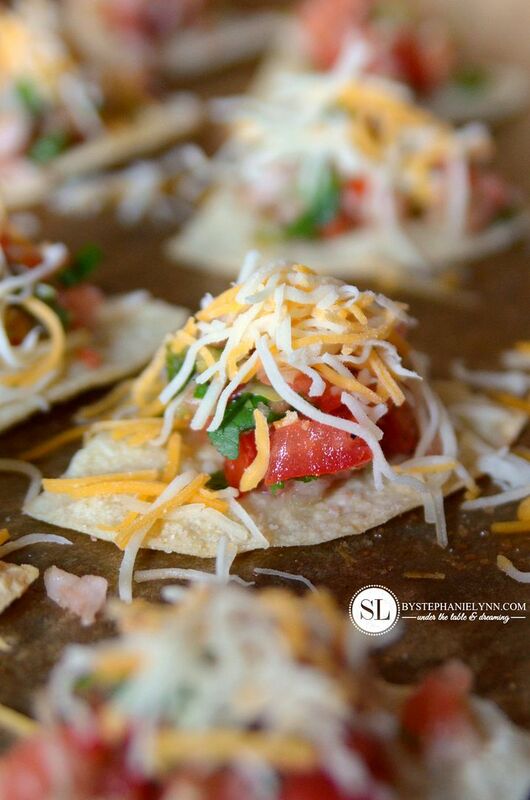 Fresh Baked Nachos – appetizer recipe | This post brought to you by Sargento. The content and opinions expressed below are that of Under the Table and Dreaming. Our fresh pico de gallo recipe is one of our all time favorites for entertaining. It takes just minutes to prepare and is made completely with fresh ingredients. 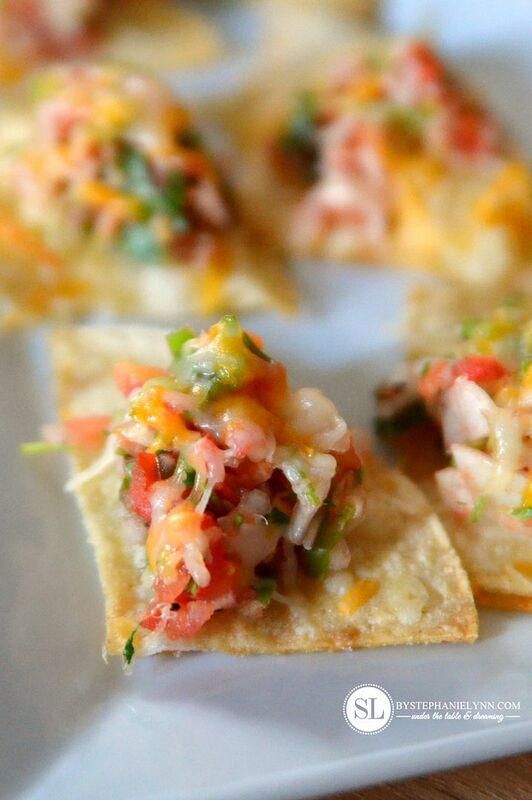 While the salsa is a real crowd pleaser served all on its own – I was inspired to incorporate it into a tasty nacho appetizer with some warm baked chips. Pre-packaged chips can be used – though it’s incredibly easy to bake a ‘lower fat’ version, right in your own oven, using corn tortillas. 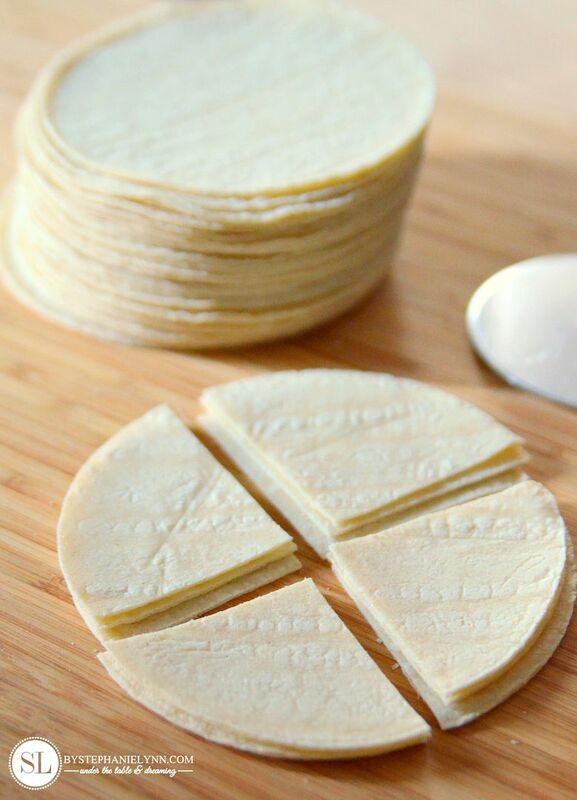 Tip: Stack up to four tortillas together and use a pizza cutter to cut them into quarters. To save even more time, top the nachos with Sargento® Fine Cut Shredded 4 Cheese Mexican or Fine Cut Shredded Cheddar Jack Cheese. Both of these innovative blends are quick-melting and cut from blocks of 100% real, natural cheese. The Cheddar Jack blends Monterey Jack with natural Mild Cheddar in one convenient package – while the 4 Cheese Mexican combines the creamy, smooth flavor of Monterey Jack, Mild Cheddar, Queso Quesadilla and Asadero cheeses. If you’re preparing the chips yourself, they will need to be baked prior to adding the toppings. This takes just about 15 minutes per batch. Baking your own chips not only reduces the fat, but means you can control the sodium content as well, for guests with special diets. To prepare the chips, cut 8 corn tortillas into quarters. Place in a single layer on a baking sheet. Bake at 350° until crisp, about 8-15 minutes. 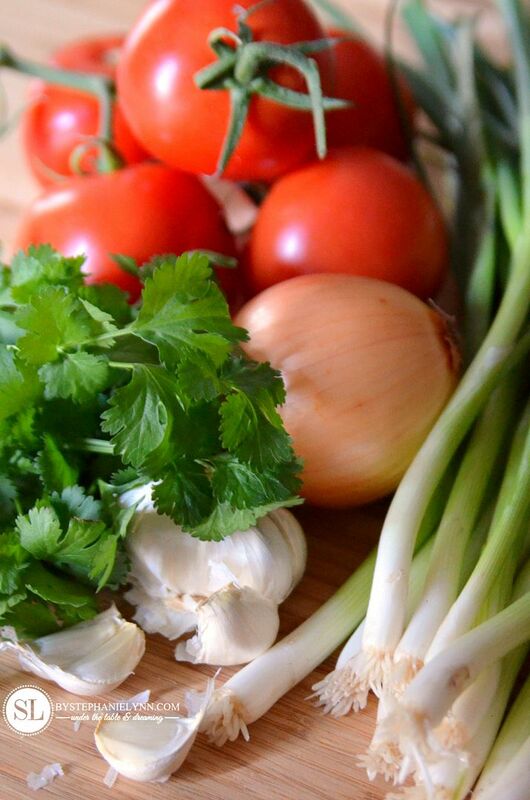 To prepare the salsa mince the onion, green onions, garlic clove, and fresh cilantro in a food processor or chopper. Set Aside. Place the chopped tomatoes in a medium bowl and add in the minced onions, garlic and cilantro. Squeeze in the fresh lime juice and season with salt and pepper (to taste). Stir until evenly combined. Preheat the broiler. Line a baking sheet with a piece of parchment paper and place the chips on the pan in a single layer. Top each chip with 2 teaspoons of salsa and sprinkle with shredded cheese. Place the baking sheet in the oven and broil until the cheese melts, about 1 to 2 minutes. 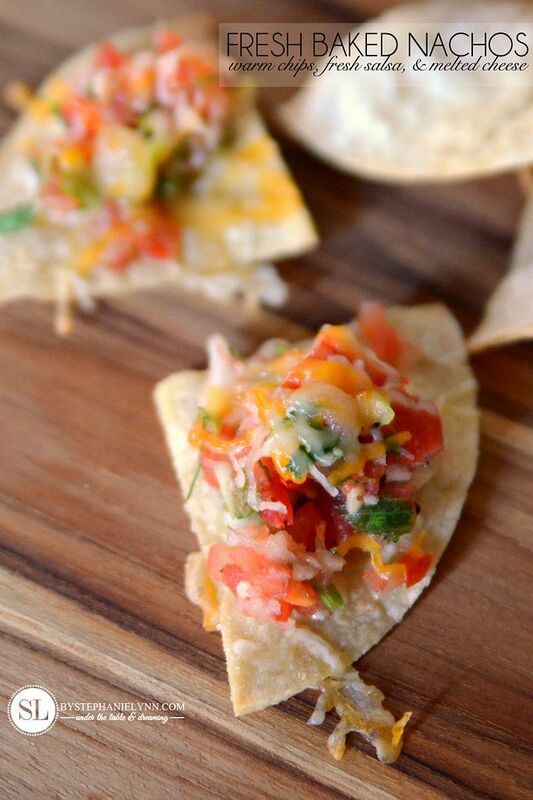 Place the nachos on a platter and serve immediately, with the remaining salsa on the side. Makes 32 chips - approximately 4 servings. 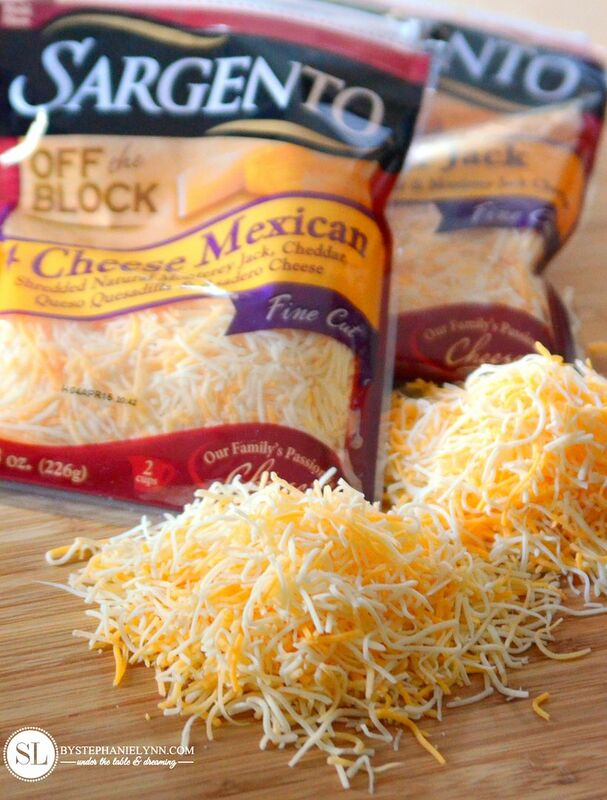 check out Sargento on Pinterest. Thank you so much for this recipe right down to making your own chips! I can’t wait to try it! Yay for gluten-free folks! Thank you for a yummy and easy New recipe! My mouth is seriously watering right now. I love fresh baked chips. So much healthier than frying. And the cheese!